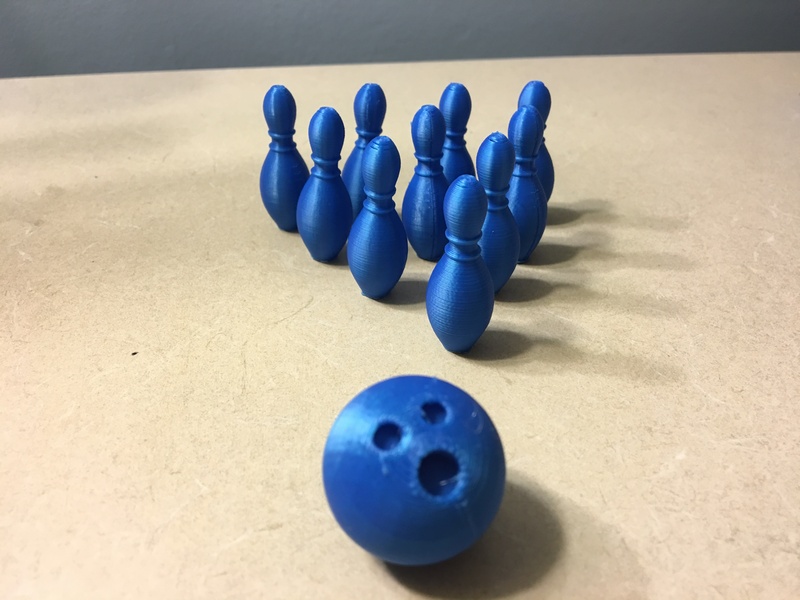 Mini Bowling Set by 4Dbuilder is licensed under the Creative Commons - Attribution license. A miniature bowling set I designed. Generate supports and scale the ball and pins as needed. I'd recommend sanding the ball and the bottom of the pins after they are printed. Say thanks by giving 4Dbuilder a tip and help them continue to share amazing Things with the Thingiverse community. We're sure 4Dbuilder would love a Tip, but unfortunately they have not setup their accounts to receive them yet.